This phrase probably pisses me off more than any other phrase. Its because this phrase is rarely if ever an actual question wondering why something is important, Its almost always intended as a sarcastic I don't know why you are making a big deal of this, or I don't care so why do you care. The friend stopped me and said Why does this even matter? Well ok in the big picture of the world, it doesn't matter. But, in the big picture of the world most things don't matter, yet we care about them anyway. I'm really particular about looking young, because we only have one shot at keeping healthy skin and once we have wrinkles and sags they are pretty much there forever. Unless we want to look like a plastic freak. I care way more than I should that people wear Pajamas out in public. Does it physically bother me? Only that one time that the guys super huge stomach hung down to his knees and his shirt only came to his waste band. That did make me want to vomit. The friend who said that, cares way more than any sane person should if the University of Kentucky wins or loses a ball game. Do I ever stop her and ask, What does it even matter? Hmmm yeah I probably do now. My old roommate use to curse the saying Don't sweat the small stuff, its all small stuff. To me this is the same principle. Maybe I am not sweating or worrying about it, but its still important to me for reasons unknown to everyone. I keep a small plastic tote full of paint chips because I like changing the color of things often. I love color and could never have a house that is all white or another neutral color throughout. I just can't function. It literally makes me anxious. No clue why, it just does. I go through the tote fairly often when I get an idea to paint something. 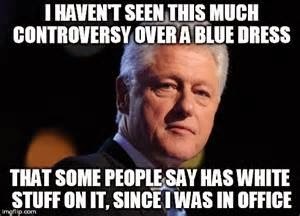 I get asked why does it even matter what color a room is. As long as the room meets your needs by having furniture what does it even matter? Well it matters because I like color and I want color around me. I may have not folded towels in a week and the basket my be falling over and I may have more crafting supplies than I need and they may be taking over my closet, but I at least want the walls to make me happy. The world will not end if I have to live with an ugly paint color but why should I have to? 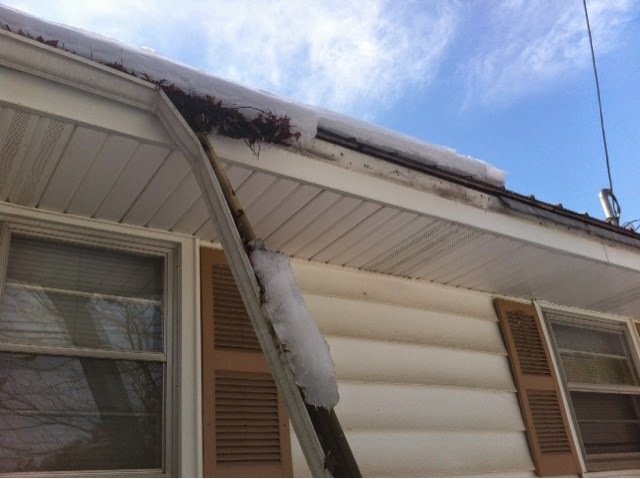 The snow and ice we've had weighed my gutter down and half of it fell. Only it was just hanging. It looked really redneck ghetto. I called someone who came to look at it and see if it could be saved. Of course it couldn't because its my luck that when it fell it broke in several places. So I am getting a new gutter. But before the person came too look at it and take the droopy part off I was moaning about how awful it looked. Again I heard, What does it even matter? Someone is coming to fix it, its not a big deal. Except to me it is. I knew I wasn't going to be without a gutter so long that it would damage my roof, but I still didn't want every car driving by looking at a big piece of hanging gutter and assuming I'm a lazy slob that doesn't care about the curb appeal and also I had a fear that I'd get a not so nice letter from the city telling me that they think I'm a lazy bum. Now the weather forecast for the weak is rain. I'm grateful I live on a hill. Maybe I can escape some weather related home damage this weak. look at all those leaves.....Guess who is buying gutter guards for her new gutters?!? me, Because cleaning the gutters is a hard job. Something I wanted to shout WTF does it even matter over. That damn dress that was allover facebook last week, Is it blue/black or White/Gold who cares are you buying the dress? If not then lets move on. Something that made me laugh this weekend. Emmy competed in the district governors cup comp. this was the sign hanging on the door as we walked in. Now I am such a bad speller, I didn't even notice. Psssh, come on, of course it matters. Even looking younger than Angelina Jolie. I'd be damn proud of that. Like you, I'm a nut with my skin. But as a guy who still gets carded at rated R movies, I'd say it's worth it. Sorry I don't want to look like my own grandfather. 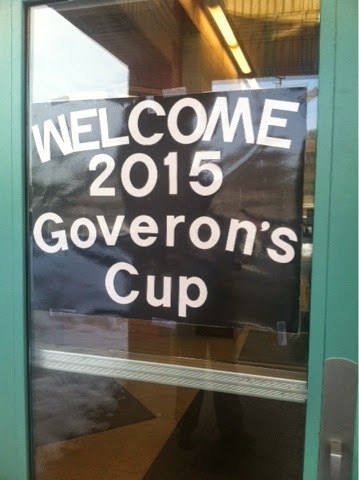 Also, I think I played Goveron's Cup before. It's an expansion of Dungeons and Dragons, and you have to slay the Dragon of Anthor with Goveron's blade before he'll relinquish his cup. I CARE VERY MUCH IF KENTUCKY WINS OR LOSES. I think everyone has their own 'what does it matters' but that doesn't mean it's not important to someone else. I'm the other end from you - completely could not care less what color the paint is, as long as it's not like, black or something. All white? Fine by me. But for you, you do what works! Also, you look WAY younger than Angelina. Way. I should have figured that out when they gave her a sword when we registered, instead of the Arts and Humanities test we were expecting. I've played D&D a few times but never really got into it. You TOTALLY look younger than Angelina Jolie!